Can be played as a team or non-team game and uses small foam balls. Object of the game is for a player to attempt to run between two lines of players from a starting position to a wall or marker and back again without being hit below the knee by the small softball/s that are being rolled by the players either side of him/her. 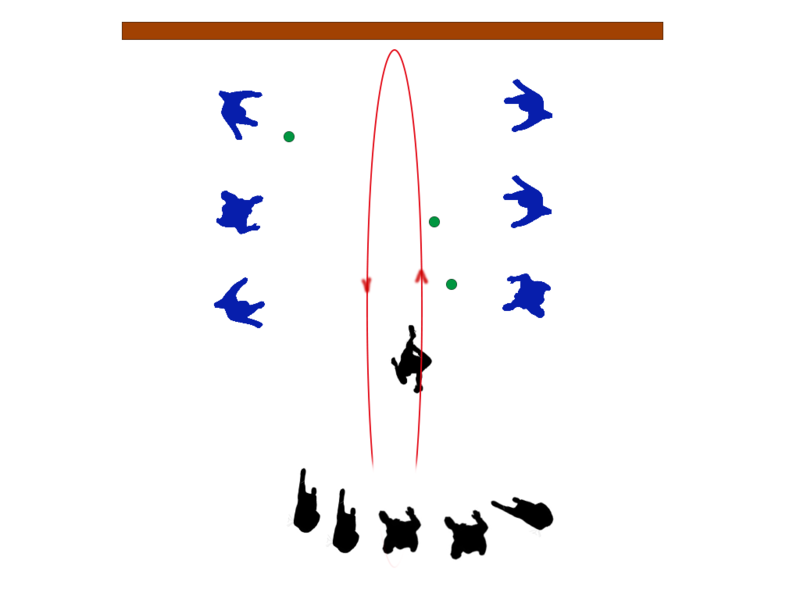 (Those rolling the balls need to be far enough away to give the runner a chance but not so far as to be ineffective). If this is played in teams one team forms two lines ready to roll the ball/s while the other lines up to take turns at trying to reach wall/marker and back without getting hit. Team or person with the most successful runs at the end wins.